There are a few websites which provide a shuffling service. 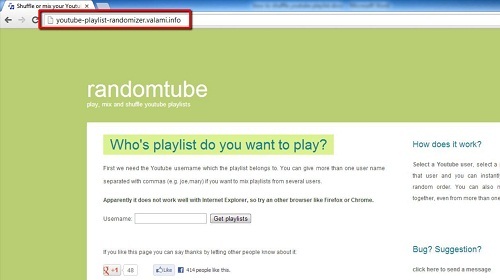 For this tutorial you should visit: “http://youtube-playlist-randomizer.valami.info”. Once the webpage has loaded you are going to be asked for the username of the video provider whose playlist you want to shuffle, to find this you need to go to the YouTube site itself. 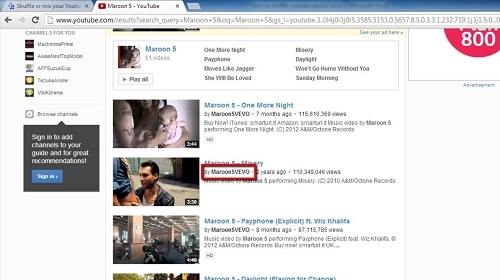 Navigate to: “www.youtube.com” and run a search for what you want to shuffle, here we are looking for “Maroon 5” so type this into the search box. 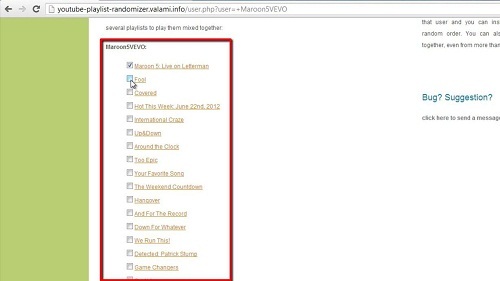 We can see in this search page that most of the videos are coming from the official Maroon 5 account: “Maroon5VEVO” so copy this text. Navigate back to the shuffling website and paste this username into the “Username” box, click the “Get playlists” button. On the next page you will see a list of all the playlist that the user account has. Simply select which ones you want to shuffle and then navigate to the bottom of the page and click “Mix selected playlists”. A new page will load and a video will begin to play, after this another will be randomly selected and played. This is the simple process for how to shuffle youtube playlist.